And so we come to the end of this journey. Or, rather, we come to the end of this stage of the journey. Our daily reflections have run their course and we now continue to journey forward into the world. My hope and prayer is that you have cultivated a greater, deeper and more secure sense of yourself as being God’s beloved. And that this empowers and motivates you to not only be God’s beloved but to live as God’s beloved. Holy Spirit breathes into us the power and love of God, and that breathe stirs our spirits to be the presence of God in the world. Imagine a world in which every Christian consciously and deliberately worked to be the love of God, to be Spirit in action. What a world that would be! Jesus tells the parable of the Good Samaritan in Luke 10:25-37. Asked what one must do to inherit eternal life, Jesus quotes the Great Commandment (which we discussed on Day 23). The second part of the Great Commandment is to love one’s neighbour as oneself. The man asks, “Who is my neighbour?” and Jesus proceeds to tell him story of the Good Samaritan. A travelling man is assaulted and mugged by a band of robbers and left for dead on the side of the road. A priest and then a Levite, both people you’d think would be aligned with God’s values, pass by on the other side of the road, looking away. Then a Samaritan, who was not esteemed by Jewish people in those days, stops to help him, takes him to an inn on his own donkey and pays for him to stay there until he is well. Jesus implies that the Samaritan leaves before the man recovers, so there is no chance of being thanked. Jesus spends much of his ministry, in continuity with God’s self-revelation throughout the Old Testament, demonstrating that humanity is much loved by God. There are no conditions to God’s love – God loves us because God loves us. It is God’s delight and pleasure to love us, because we are God’s creation, because we are created in God’s image. But God also desires us to be loving. It is part of God’s vision for humanity, part of God’s original design – that we would love and care for each other in community. And so Jesus calls us to love all those whom we meet, even those we’d rather pass by. God wants us to be like the Good Samaritan. God does not want us to be like Jonah, who had no love for the Ninevites. Jonah, in fact, throws God’s loving nature in God’s face, as he says, “O Lord, is this not what I said when I was still at home? That is why I was so quick to flee to Tarshish. I knew that you are a gracious and compassionate God, slow to anger and abounding in love, a God who relents from sending calamity. Now, O Lord, take away my life, for it is better for me to die than to live” (Jonah 4:2-3). Jonah correctly understood the nature of God’s heart – that God loved the people of Nineveh and desired their salvation. But Jonah’s heart was not aligned with God’s heart – he could not love them. God does not want us to be like Jonah – God desires for our hearts to be aligned with God’s heart. When we are filled with the Spirit of Christ, filled with the Love of God, how can that love not overflow to those around us? In the same way that God’s superabundance of love spills out into the creation of the cosmos, the abundance of God’s love in us, as we are filled with Spirit, should pour into our relationships, our work, our play, our church, our world. Jesus speaks about this in John 7:37-38, “If anyone is thirsty, let him come to me and drink. Whoever believes in me, as the Scripture has said, streams of living water will flow from within him.” Knowing that people might ask, “What is this water?” John explains in the next verse, “By this he meant the Spirit.” When we drink up God’s love, we are filled with Holy Spirit, and Spirit then flows out from within us like a stream of living water. 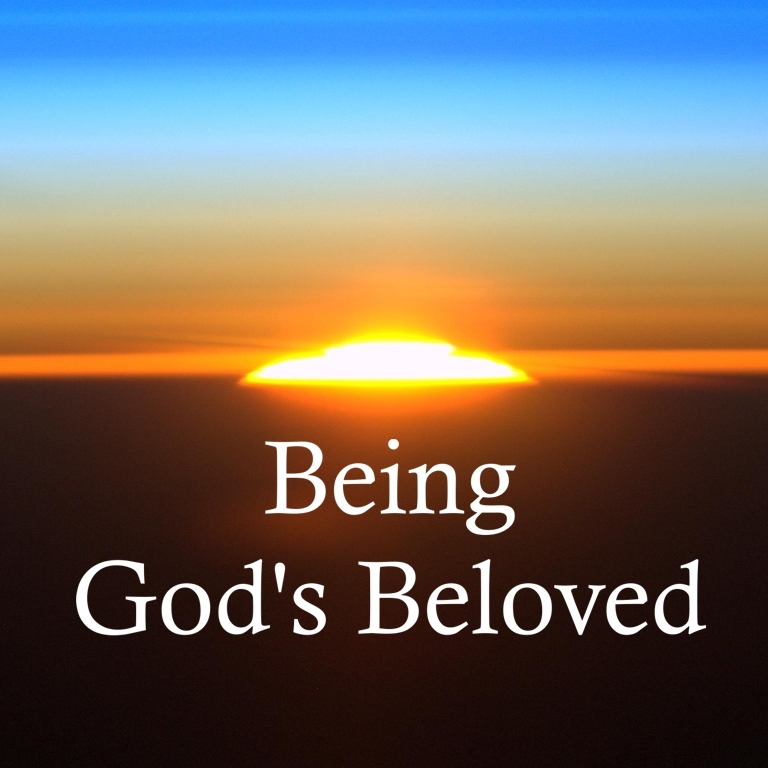 Christian love – that is, our love for others – is modelled on God’s love. Linda Woodhead has defined it as “an active desire for the well-being of the neighbour, and for communion with him or her, based on a recognition of the neighbour’s unique worth”. Her definition is helpful, if challenging. Christian love is initiated by ourselves, and in this way unconditional – we choose to love because we choose to love, not because the person is love-worthy. We love because of the inherent worth of the other as one of God’s creatures, but we do not whitewash all people with the same inherent worth – a bland, faceless love for everyone. Rather, Christian love emphasises recognition of unique worth; that is, I extend myself to seek out particular aspects of that individual that are loveable and even likable. And it is two-way, seeking not only to express love at arm’s length, but also to establish relationship, communion, fellowship. And all of this is just the way God loves me and you and the other person. This kind of love is transformative. It not the anaemic “I love everyone” that we sometimes say. This is a love, targeted not at the whole world, but at those in our immediate environment, which seeks to bring about authentic experience of human relationship. When we invest this kind of love in the way we do our work, the way we engage with those we encounter in our daily living, the way we relate to our families, and the way we relate to people at church then we will begin to see the Kingdom of God come. This is because the Kingdom of God is rooted in God’s most deeply cherished value, and that is Love. We often pray the Lord’s Prayer, “May your Kingdom come, may your will be done on earth as it is in heaven.” What is God’s will? The centre of God’s will is that we love God, love each other, love the world and love ourselves. This is what relationship is all about and this is what God created us for – to be in loving relationship with God (spirituality), others (sociology), the world (ecology) and ourselves (psychology). As we begin to invest our love in these four sets of relationships we begin to answer the Lord’s Prayer – God’s Kingdom does indeed come, because God’s Will is indeed done! This sounds rather idyllic. You and I know that this does not happen easily. Love in the abstract is simple and clear. But love in the real world, in real relationships, in real workplaces and families and communities is not so simple. If love were simple and easy, we’d all be doing it! But in fact, there is a dearth of love in the world. We cannot love like God in our own strength. We have to rely on the Spirit of God, the Love of God, to enable us to love. It is as we allow Spirit to fill us with God’s love that we something to offer. And it is as we hear Spirit’s call, recognise Spirit’s equipping, respond to Spirit’s prompting that we actually begin to not only be God’s beloved, but to actually live as God’s beloved. And this is God’s ultimate goal. This is the good life. Reflect back over the past 40 days. Perhaps scan through the table of contents. Identify those points that have most struck you, that you hope to take forward with you beyond today. Make a commitment to continue to journey in the love of God, to be God’s beloved and live as God’s beloved. Spirit of Love, Son of God, Heavenly Father. Fill me today with an abundance of your divine love. Create opportunities for me to express your great love as I live my life today.